DJUSD offers eight choice school programs: 4 elementary schools, 1 junior high, 1 high school, 1 continuation high school, and 1 school for independent study. Any DJUSD student may register for Birch Lane Montessori during spring Kindergarten registration. If more students enroll than space available, students will be entered in a lottery. All students registered during this window enter the lottery on equal terms. Students older than Kindergarten may enter the Montessori program on a case-by-case basis depending on space and prior experience in a Montessori program. Enrollment for Montessori occurs at Birch Lane Elementary. Registration will take place at Birch Lane on Tuesday, February 19, 2019 from 4:00-6:00 p.m. Please bring a printed copy of your completed pre-enrollment as well as the DJUSD Required Registration Documents. Any student eligible to attend DJUSD may register in the Spanish Language Immersion Program at César Chávez Elementary (CCE), regardless of language background. Students of varying abilities and needs contribute to the diversity of the community. Parents should understand that becoming bilingual (exhibiting cognitive, academic and linguistic benefits of immersion) takes approximately seven years in an intense learning environment. It is therefore desirable for students to participate through at least the sixth grade. Kindergarten students are chosen by lottery system. If there is space, students in grades first through sixth must go through an assessment process conducted at the school site. Find out more by contacting César Chávez Elementary. Registration will take place at Cesar Chavez on Tuesday, February 19, 2019 from 8:30 a.m. -3:00 p.m. Please bring a printed copy of your completed pre-enrollment as well as theDJUSD Required Registration Documents. Students are chosen for Fairfield Elementary by lottery system, with preference given to siblings and residents of the area. To apply for Kindergarten, register your child at your neighborhood school during TK/Kindergarten registration and fill out the Fairfield application. It will be sent to Fairfield Elementary and staff will notify applicants within a few weeks. To apply to Fairfield Elementary School after school is in session, applications are available in the Main Office at Patwin Elementary. Fill it out and leave it with the secretary. Your child will be placed on the waiting list. If you have questions about Fairfield enrollment, contact Patwin Elementary School. Registration for Fairfield takes place at your neighborhood school on February 19, 2019 between 8:30 a.m. - 3:00 p.m. The best practice structure of a TWBI program is to have a balance of native Spanish and native English speakers so that students, as well as teachers, will serve as language models for each other. Students will be enrolled in TWBI using policies that help achieve as much balance as possible between these target language groups. Interested Kindergarten families should complete the TWBI interest form and register at Montgomery Elementary during the regular registration period. If you have a student who is older than Kindergarten and wish to learn about TWBI enrollment, your child must go through an assessment at the school site. Preference for enrollment is given to students who live in the Montgomery boundary area and to students with siblings already attending Montgomery. If there are more students interested in enrolling than space available, a waiting list will be formed. Find out more by contacting the Montgomery Elementary office. Registration will take place at Montgomery on Tuesday, February 19, 2019 from 8:30 a.m. -3:00 p.m. Please bring a printed copy of your completed pre-enrollment as well as the DJUSD Required Registration Documents. Students in grades 7th- 12th may submit an application to attend Da Vinci Charter Academy junior high or high school. 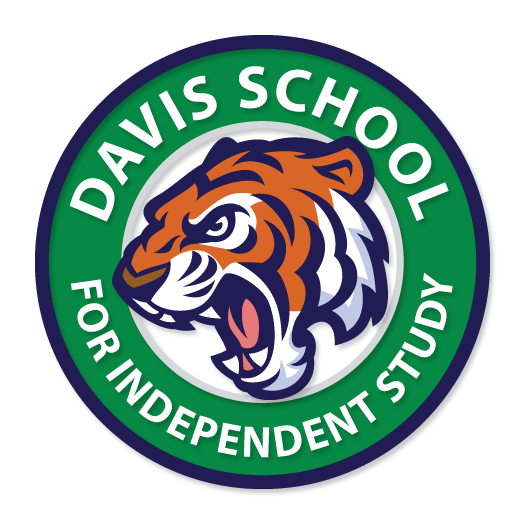 Because Da Vinci is a charter school, the school is permitted to accept students from outside the the Davis Joint Unified School District. However, when the number of applicants exceeds capacity, Da Vinci must prioritize DJUSD residents over non-residents. Please note that Da Vinci junior high and high school are on different campuses. Da Vinci Junior High shares a campus with Emerson Junior High in West Davis and Da Vinci High is located on E. Eighth Street in East Davis. Contact Da Vinci High School office for more information. Junior High: Registration info, including the 2019-20 Application can be found on the Da Vinci Junior High website. High School: Registration info, including the 2019-20 Application can be found on the Da Vinci High website. King High School accepts students on a case-by-case basis at the beginning of each quarter, unless a student is transferring from another continuation school in California. Contact the King High School office for more information. Attending a mandatory information meeting is the first step in enrolling at DSIS. At this meeting, parents and students will learn about DSIS and will be able to make a determination as to whether DSIS is a good fit for the student. Please contact the DSIS office for more information. To apply for the DSIS Home School Program please visit the DSIS office to complete an application. Please bring a printed copy of your completed pre-enrollment as well as the DJUSD Required Registration Documents.